November is the eleventh month in a year, both in the present Julian and Gregorian calendar. It comes between October and December. The month of November has thirty days. It is the penultimate (last but one) month of the year. In pre-historic days, the Julian calendar had only ten months in a year, without a mention of January and February. At that time, November was the ninth month in the list of ten months of the old Julian calendar. Owing to its ninth position, the name of November had been given to the month, taking cue from the Latin word “Novem” which meant nine. 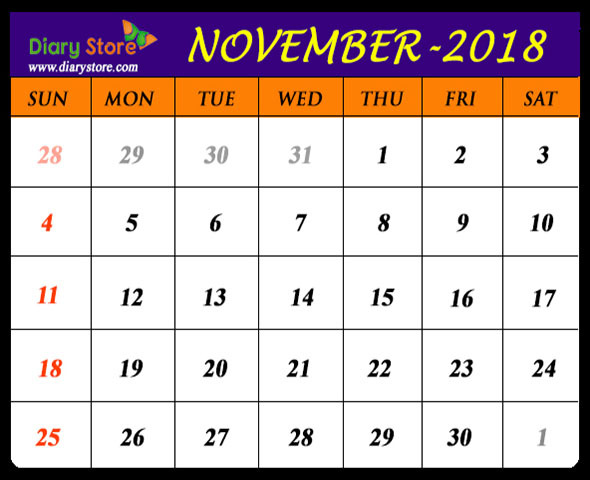 Subsequently, with the inclusion of January and February in the Julian calendar, the month November gained the rank of eleven in the serial order of all the twelve months. In spite of change in the rank, the name November has continued to be in vogue, across the world.